Enter now and try your luck on some of the coolest items available on internet sweepstakes right now! Enter today if you’d like to win! 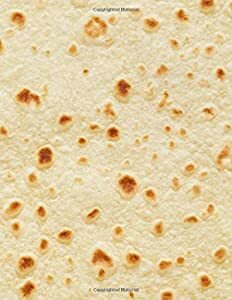 Tortilla Burrito Notebook: 120 Blank Lined College Ruled Pages Novelty Food Burrito Tortilla Shell Notebook (Burrito Blanket). According to Amazon, the odds of winning are: 1:500. Total number of prizes: 2. Brought to you by Amazon and Monte Werle. Good luck to you if you’ve entered, and if you haven’t, what are you waiting for? Join our mailing list before you forget and bookmark the site today so that you can keep checking back for some more exclusive freebie offers.